company and where customers make the decision to do business with you, decide what products to buy, learn about events that are scheduled, who to consult, and what information is most important to them. 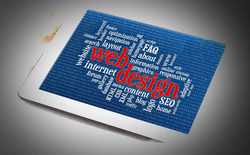 Being one of the premier Website Designing Companies, we know you don’t always have a stolid plan to go ahead with the design, but just a requirement document stating what you want. Our design consultants and engineers know how to help you by consolidating your thoughts and come up with a perfect design solution. - Websites in present age have come of age as they are extensively being designed to respond to certain actions, propelled by the user side. As such, an innovatively fresh term has been fabricated that comes to be known as “Responsive Web Designing, whereby the websites are designed to be counter-active and pro-reactive too. An entry level website with 5-10 pages and an online ordering form will cost you INR 15, 000.A website with live chat and email support, and upto 15 pages will cost around INR 20, 000.An ecommerce website with shopping cart and payment gateways etc can cost from INR 25, 000 to INR 50, 000.